I recently attended the first SK-II Global #changedestiny Forum series, featuring internationally acclaimed singer-songwriter Anggun (of Indonesia) and social media star and transgender author, Sha. The talk was conducted in an intimate conversation style, with both women sharing stories of their growing up, struggles and then creating their own success through their constant and relentless efforts. I wasn't very familiar with them both, but at the end of the forum, I was left feeling very inspired and motivated. Anggun Cipta, achieved success in her hometown Indonesia at a young age since her adolescence as a child star, and then in her teenage years. This girl had her own studio at the age of 19! But she felt trapped by her own success, and felt that everything came too easily and her life felt too empty, so she gave everything up, took a leap of faith and moved to London to pursue an international career. She shared during the talk that in London, she was facing rejection on an almost daily basis, but still she never gave up and continued to put herself out there, knocking on doors, and never once gave up her dream, even as her savings dwindled. She finally found success when she moved to Paris, and got signed to Sony Music and released her first international album after two years of nothing. I was sincerely moved by her strong fighting spirit, especially her personal motivational words - Try Again - because "the biggest failure is when you never tried, when you know that you could have". We were all joking at the end of the forum that she should consider being a life coach on top of her singing career! Anggun, you have gained a new fan! With the lovely Jean Danker, and cutest Bel! Sha, on the other hand, faced a lot of challenges both at home and in public, as a "gay" boy in his schooling years and being shown a lot of anger, just because she was different. But she didn't let that get to her, she simply worked harder in school, went the extra mile ahead of everyone else and finally found success as a writer and also accumulated over 566k followers within 2 years. 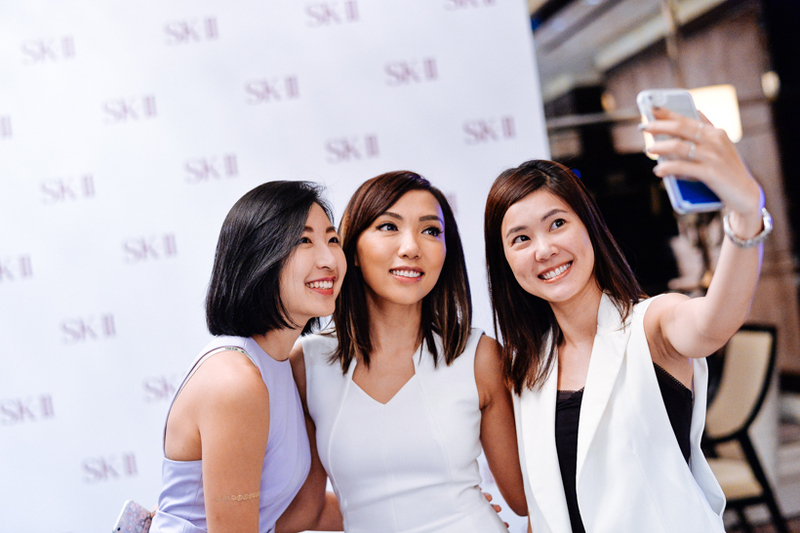 I'm really happy that SK-II brought the stories and struggles of Anggun and Sha, and also that of Singapore designer Priscilla Shanmugam, and also those of many other successful Asian women, to inspire generations of women. In the words of Anggun, "women should support and empower each other, and not be afraid to take hold of her own destiny". You can see Priscilla's video for SK-II below, and also Anggun and Sha at the links. The above content is sponsored by SK-II.